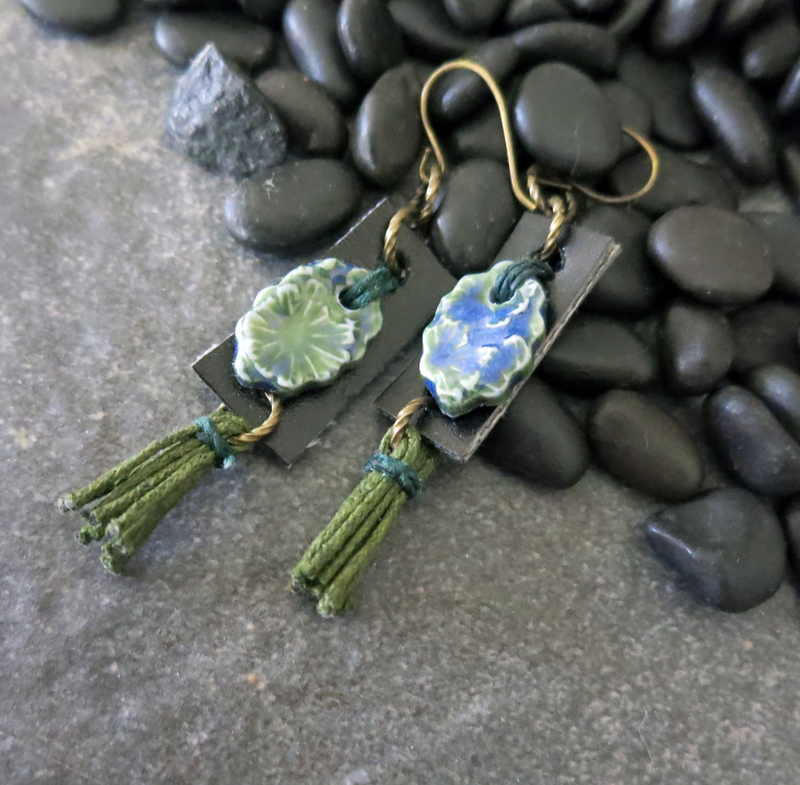 These boho earrings feature my own handmade ceramic ovals, hanging against a backdrop of upcycled faux leather. What do you do when an old belt starts falling apart? 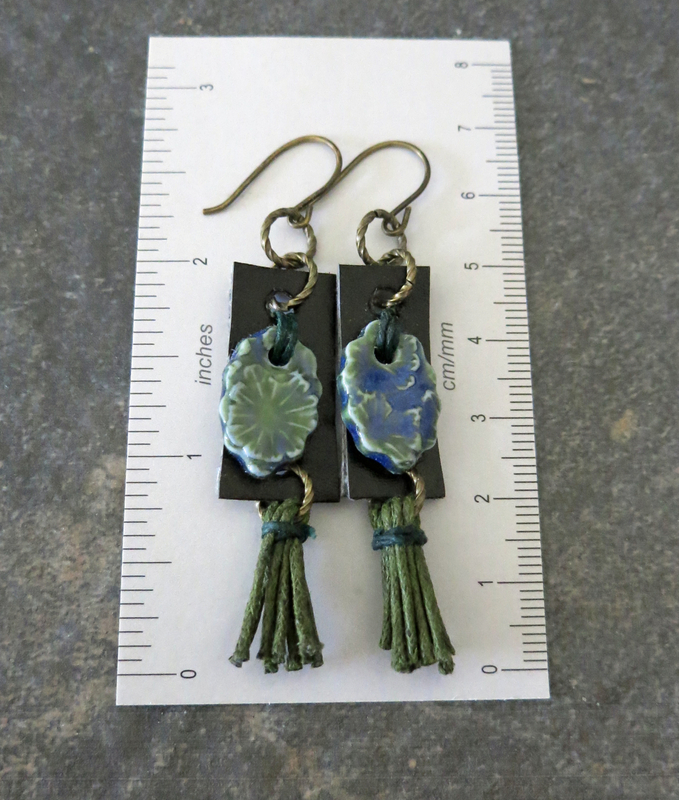 Upcycle the nice parts and make earrings! 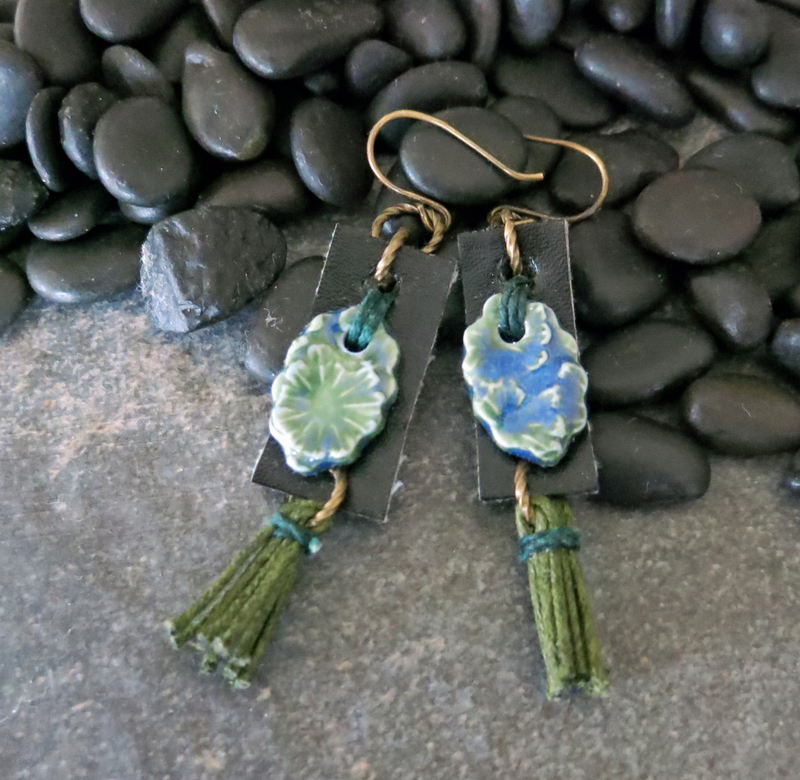 I used dark green Irish waxed linen to attach my handmade ceramic charms to the faux leather and to make cute little tassels to swing from the bottoms of the earrings. 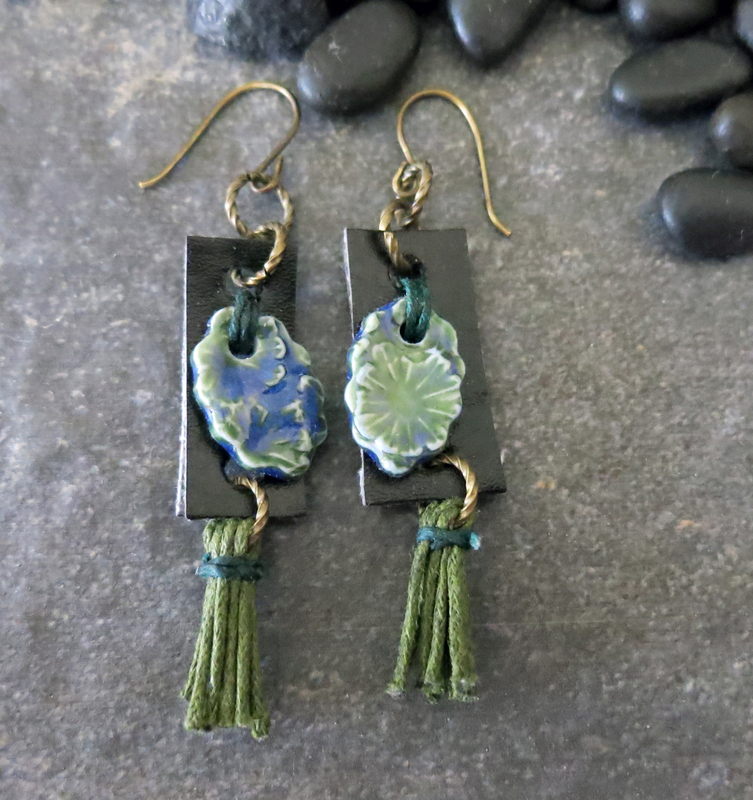 The charms have a great texture that I created using dried seed pods. The wonderful glaze develops into both green and blue colors during firing. 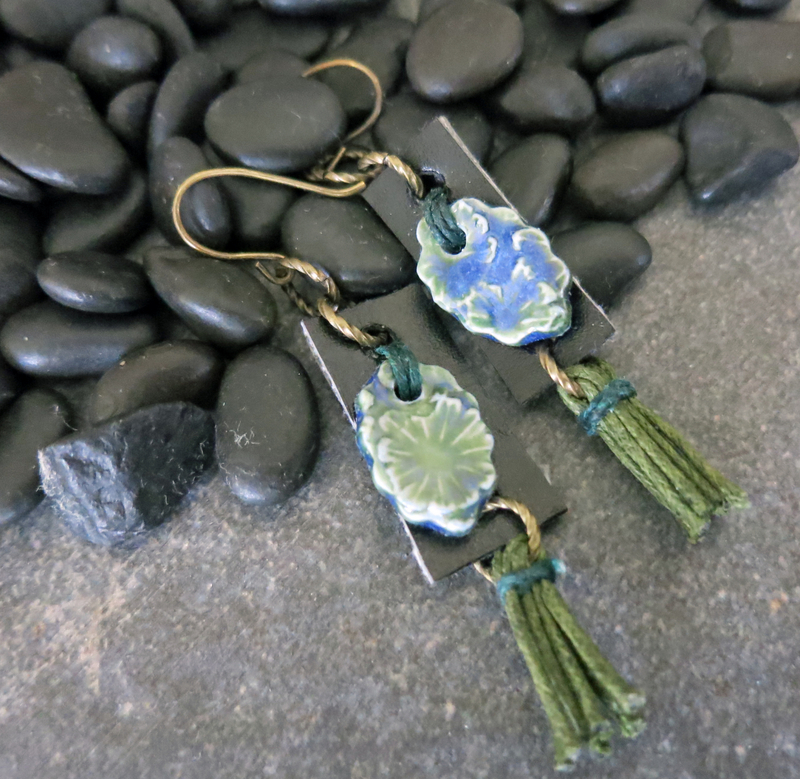 The charms are glazed on both the front and the back. See the last picture for a size reference.